As a business owner or manager, you are obviously interested in learning where your business is standing, how it is performing against your goals and what new opportunities for growth lay in front of you. Your business decisions are not impulsive: you need to have access to the right set of information to support your decision making process. Similarly, aircraft pilots rely on the dashboards in their cockpit to receive and analyse data to support their sometimes very fast, critical but not impulsive decision making process. Sticking to the aircraft metaphor, digital analytics is your cockpit dashboard, providing you with the appropriate set of data to support your business decision making process. 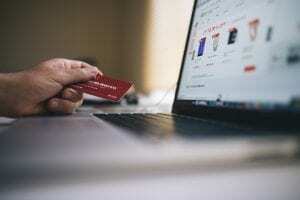 Getting too much data, too little data or the wrong data, can deceive you to take the wrong business decisions, which negatively affect your business. Here at Digital Nomads we pride ourselves to always use data as the foundation of any business decision, both for our company and for those of our clients. Our data-driven approach, helps us be effective and efficient, while reducing the overall risk of taking the wrong decision. Digital analytics is really what you would call our core expertise. You might ask yourself, at this point, what really is digital analytics in practice? Digital analytics is a set of processes designed to collect, measure and analyze digital data. The goal of digital analytics is to help us measure the effectiveness of the individual steps in a funnel, to make informed decisions and to achieve our business goals. 3- Deploy the Measurement Plan in Google Analytics. In this article we will only cover the first step, defining a digital analytics strategy. If you would like to learn more about creating a measurement plan for your business or how to deploy a measurement plan in Google Analytics, please reach out to us and we will be happy to provide you with a free consultation. A digital analytics strategy is necessary to gather and manage the right data, enable everyone to access and analyze the information, and integrate the right technologies to put audience insights into action. Defining a robust digital analytics strategy can take some time, in particular when never done before, but it is a worthwhile investment which will set you and your business up for a win in the long run. 4- Identify Pain Points And Wow Moments. The customer journey is long and mapping it out gives you a deep understanding of how your customers are interacting and engaging with your business. It also helps illustrate how your products and services fit into their lives, schedules, goals, and aspirations, giving you an even greater understanding of the design and the experience you should provide them with. Define clear goals for your business and any marketing or communication you deliver during the customer journey should be focused on helping your business reach those goals. However, it’s important to remember that your customers’ goals might be slightly different from yours. For example, your goal could be to sell more of a higher quality product that you’ve just designed and released in the market, while, your customers’ top concern might be getting a product with lesser quality but that better matches their personal style. Higher quality could easily be their second priority. Make a list of the moments where you engage with your customers and group them based on when they happen during the journey i.e. pre-purchase, purchase, and post-purchase. Track which customer interactions happen between your business and your customers during, before and after those moments. Set business metrics and dimensions to best reflect the efficacy of your interactions and how they contribute towards achieving your business goals. Recognize pain points and wow moments in your customer journey by using data to understand and experience how your customers feel during their journey. Put yourself in your customer’s shoes. How did you find the experience of completing a transaction? Was the information provided enough? Was the navigation straightforward for you to follow? 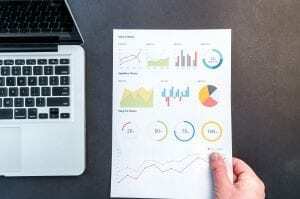 These are all critical qualitative data points that you need to cross check with your quantitative data points, collected via a digital analytics software like Google Analytics. 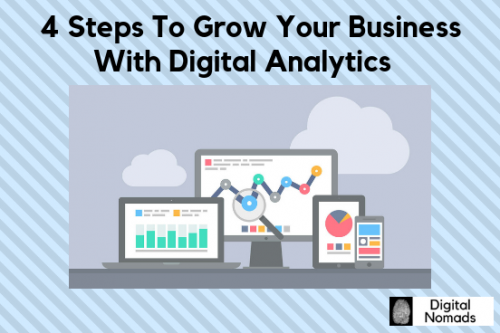 These are only the first steps in setting up a robust digital analytics strategy that is actionable, effective and providing you with business growth in the long run. If you would like to know more about building your own digital analytics strategy or how to grow your business by building a solid qualified lead generation pipeline, please reach out to us and we will be happy to provide you with a free consultation.